Vital and important themes in the publishing industry will be addressed at the 3rd Arab Publishers’ Conference to be held in the Emirate of Sharjah on 2-3 November 2015 under the theme "The Publishing Industry: Prospects and Challenges of the Digital Age".Organized by the Arab Publishers’ Association (APA) and the Emirates Publishers’ Association (EPA), the conference will be held at Al Jawaher Reception and Convention Centre, and will serve as a platform for Arab and international publishers to share experiences and explore opportunities and the challenges facing the publishing sector in the region and the world.The event will be distributed over eight sessions and attended by Arab and international specialists, academics, and experts in the publishing industry with discussion sessions, focus groups and networking opportunities offered to participants. In the first session titled “Fighting Piracy” participants will discuss copyright compliance policies, anti-piracy laws, and future technical developments affecting the publishing industry. The second session titled "Protecting Intellectual Property in the Digital Age" will explore intellectual property as the foundation of the publishing industry and other creative industries, in addition to the challenges facing intellectual property, especially the ability to constantly modernize legal frameworks in one of the fastest growing sectors in the region and the world.The third session titled "Publishing and translation in the Arab world - is the tide turning?" will discuss the issue of translation, from and into Arabic, as an ongoing major challenge for publishers. 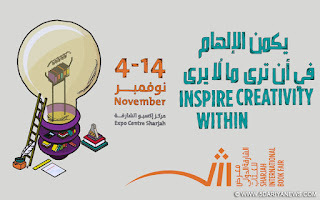 Participants will explore the future of electronic projects and initiatives supporting translated books in the Arab world. The fourth session, "A look at Tomorrow's Library," explores the direction of libraries which still offer traditional services to readers, such as book lending, although their role in society is changing to keep up with modern developments. The fifth session "Freedom of expression = freedom to publish" is a highly topical in light of modern developments and the need of freedom of expression for the publishing industry to flourish.The sixth session called "Challenges and Opportunities in Educational Publishing" highlights the experiences of countries in the development of educational textbooks and resources for use by students and teachers, as well as the role of publishers in this area, especially given the large number of students in kindergartens, schools, and higher education institutions which demand modern curriculums that meet their needs. The seventh session will discuss "Distribution in the Digital Age," which focuses on publishing as a vibrant industry whose survival requires traditional publishers to find new ways to promote their industry, and to adopt opportunities offered by digital technology in order to ensure the dissemination and distribution of their publications.The eighth and final session called "The quest for innovative and engaging content," will talk about the spread of smart applications and electronic devices, the type of Arabic content required for these modern innovations, barriers to the spread of Arabic books on the Internet, and mechanisms to overcome them.Publishing industry experts from around the world will be attending the conference, which include publishing professionals, experts from local ministries, unions, associations, publishing syndicates from the Arab world, directors of national libraries, managers of Arabic book exhibitions, and many more. The Saudi capital, Riyadh, hosted the first Arab Publishers Conference, which was held in October 2009 under the theme "The Future of the Publishing Industry in the Arab World." The city of Alexandria hosted the second Arab Publishers Conference, which was held in March 2013 under the theme "Enabling Knowledge and Challenges of Arab Publishing."